Gone are the days when politicians in Pakistan used sermons, processions and slogans as a tool to play the power tug of war; it’s time for raps, tweets and branded clothes! 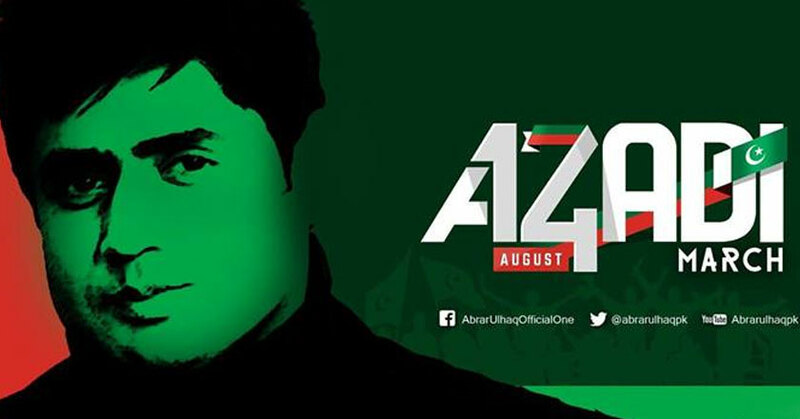 Pakistan’s popular singer and the President of Youth Wing of Pakistan Tehreek-e-Insaf, Abrar ul Haq has taken out a song titled ‘Haq Hamara Azadi’ (Freedom is Our Right) to promote the upcoming Azaadi March on 14th August 2014. The 3 minute and 58 seconds song persuades the masses to walk along PTI and participate in Azaadi March against the current government.